Its going to be crisp beautiful winter weekend. Get your hiking shoes on and get some fresh air! 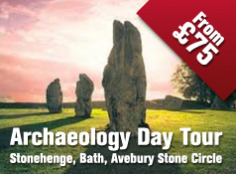 Here is a great DIY walk at Avebury Stone Circle. Sunday roast at the Red Lion ? While this walk does not come across any bits of Diplodocus or Tyrannosaurus Rex it does include relics from communities who lived over 5,000 years ago. Avebury in mid-Wiltshire lies some six miles west of Marlborough, and this walk not only takes in Europe's largest stone circle but passes Europe's largest man-made hill, Britain's largest burial tomb, a 5,000-year-old temple site, and follows an ancient trackway. It also provides superb views over delightful Wiltshire countryside and downland on good paths and tracks. From Avebury's village car park alongside the recreation ground on the A4361 turn right along the road for a short distance before following a path on the left through a double gate and signed West Kennet and Longbarrow. Walk through a small enclosed area, another gate and along a path beside a very small River Kennet. To the right and ahead can be seen the unusual shape of Silbury Hill. Dating from 2,800 BC, and standing almost 140 ft high it is Europe's largest man-made mound but after centuries of research its original purpose is still not known. To the left is rising downland as you pass through a gate to continue along the fenced path on the right-hand edge of the field. Negotiate two stiles and a gate before reaching the A4. 1. At the road turn left for a short distance then turn right through a metal, kissing gate to follow a gravel path along the left edge of an uncultivated field. Cross a small brick-edged bridge go through a metal, kissing gate and follow the fenced path left before entering and keeping to the left edge of a large field. At this point a path to the right leads up to the West Kennet Long Barrow, constructed about 3700 BC, and used as a burial tomb for well over a 1,000 years. At the end of the field go through a metal gate and along a grass track before crossing a tarmac lane and stile to follow the right- hand edge of a small meadow. As you near the end of the meadow look for and cross a stile to follow a hedge-lined path. At a T-junction of paths turn left and almost immediately right along a grass track uphill. At a junction with a stony track and large field ahead turn left along the left edge of the field to follow the track down through a farmyard and into the village of East Kennett. Pass a delightful little pond by the village church and bear left along the lane past the church. At a T-junction by the Old Vicarage turn right alongside a stone wall and the village school. 2. Turn left along the lane signed to West Overton. As the lane bends right keep ahead along a tarmac drive to keep the stone wall on your left. The drive crosses a small bridge and enters a large field. Follow the path to the left and continue along the left edge of the field as it climbs uphill to the A4 revealing views to the left over the Long Barrow, Silbury Hill and the monument atop Chernhill. Before crossing the road take time to look at The Sanctuary on the left. 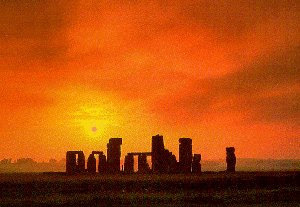 Concrete posts now mark the site of a circular building used from 2,500 BC, to 2000 BC, possibly as a temple. An avenue of standing stones once linked the Sanctuary with the Avebury Rings. Cross the road and follow the clear track ahead. This is The Ridgeway, an ancient track which followed natural routes across high ground from Pewsey north east to Goring on the River Thames. Exceptional almost 360 degree views over the surrounding countryside are revealed as you gain height. 3. After almost two miles where a bridleway and byeway form a cross track, turn left to head towards the Chernhill monument. Descend to pass the buildings of Manor Farm and the track becomes a tarmac lane. 4. 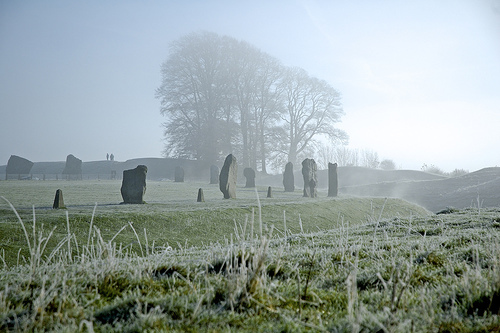 Soon your route passes through the eastern entrance of the massive circular earthworks that make up the Avebury Circles. 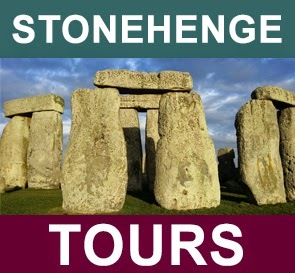 These are described as one of the largest and most impressive Henge monuments in Europe and are made up of 200 standing stones. Return to the village and merge with the main road opposite the Red Lion. As the main road sweeps left go ahead down High Street, past the Post Office and shop and just past the earthworks, turn left to return along the footpath to the car park.